The Shops at Target launched nationwide yesterday, but that doesn’t mean Target is taking a retail rest. As shoppers flocked to stores for their first chance at limited-time collections by The Webster, The Candy Store, Privet House, Cos Bar and Polka Dog Bakery, Target announced the next installment of shops in its latest design partnership platform. Over the next four days, we’ll reveal each shop and divulge details about their upcoming collections at Target, in stores September 9. The first shop goes out to all you ladies! Kirna Zabête has been a SoHo shopping hot spot since 1999. The name might be hard to pronounce, but its origin is simple. Co-founders Sarah Easley and Beth Buccini were inspired by their own nicknames (Kirna and Zabête, respectively). Best friends since college, the pair wanted to open a Manhattan store that showcased emerging designers and attracted those hungry for avant-garde and innovative designs. More than a decade later, the stylish set still heads to Kirna Zabête to scour racks filled with Givenchy, Thakoon, Jason Wu, Proenza Schouler and Alexander Wang. Sarah and Beth meticulously curate pieces for their shop—and they’ll take that same approach to their exclusive, 100-plus-piece collection at Target. 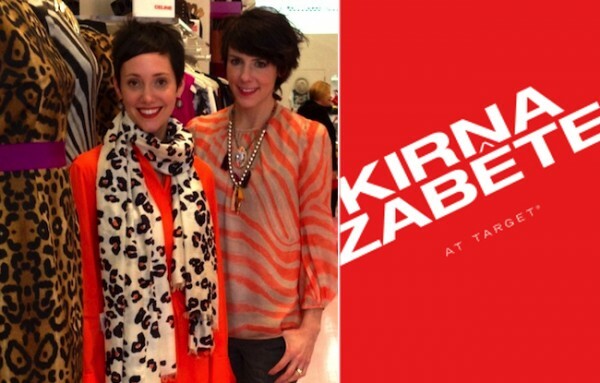 Kirna Zabête at Target will feature tops, dresses, skirts, pants, outerwear and accessories. 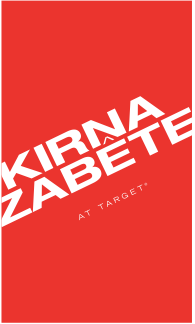 Check back tomorrow to find out the next shop, and read more on Kirna Zabête at Target via Women’s Wear Daily.